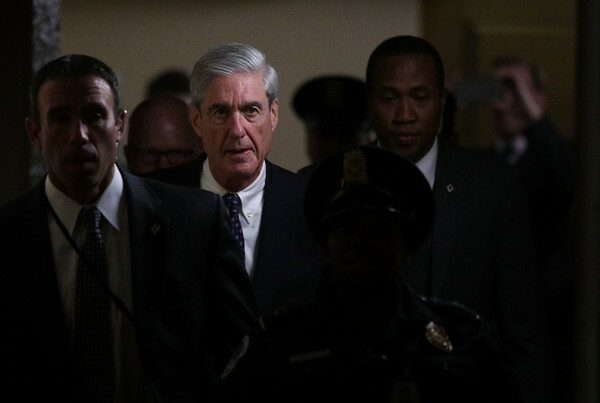 Should Mueller resign amid revelations of possible bias? Yet another member of Special Counsel Robert Mueller’s Russia investigative team is facing questions over potential bias after it emerged that she used to represent ex-Obama aide Ben Rhodes and the Clinton Foundation. Jeannie Rhee is a former partner at WilmerHale—the high-profile law firm where Mueller worked prior to taking on the special counsel role. She is one of at least three attorneys who followed Mueller from WilmerHale. At the firm, Rhee focused on representing people in government investigations, including white-collar criminal probes and criminal and civil fraud matters. But this week, details of Rhee’s client relationships emerged, revealing that she represented Obama Deputy National Security Adviser Ben Rhodes during the House Select Committee on Benghazi’s investigation of the 2012 Benghazi terrorist attack. Rhee's connection to Rhodes was first revealed on Fox News by Laura Ingraham on Tuesday, where the primetime host cited it as more evidence that Mueller’s team is biased. Also this week, it was reported that Rhee represented the Clinton Foundation in 2015 against a racketeering lawsuit brought by conservative legal activist group Freedom Watch in 2015. Rhee also represented former Secretary of State Hillary Clinton in a lawsuit seeking access to her private emails. On the Mueller team, Rhee reportedly is focused on the claims that the president tried to obstruct justice and push former FBI Director James Comey off of the Russia investigation earlier this year. Go to https://www.FreedomWatchUSA.org to Support Removal of Mueller and Sign Petition! Unpleasant "facts" are spilling out. Republicans don't want to know them. This is not a saga in its closing chapter. Equally clear is that no matter what is revealed, Trump and his allies won't go quietly. Already, some congressional Republicans are trying to smear Mueller, the most experienced and respected special counsel in more than 40 years. If cornered, does anyone doubt that Trump will summon his core supporters to the streets? The constant revelations create such a blur that context sometimes is overlooked. Trump and his operatives have lied repeatedly, denying that they had any contacts with Russians. Now we now know of at least 19 meetings among 31 interactions. Where is the Hillary investigation - into HER known lies and KNOWN crimes? But Peter Carr, spokesman for the Special Counsel's Office, told Axios early this morning: "When we have obtained emails in the course of our ongoing criminal investigation, we have secured either the account owner's consent or appropriate criminal process." Be smart: Republicans, who have been raising increasing questions about Mueller's office, are prepared to argue that if emails were obtained by questionable means, that could taint or undermine the investigation. What happened: Axios reported yesterday afternoon that officials of Trump's Presidential Transition Team, his office for the 73 days between the election and the inauguration, discovered that Mueller had obtained huge caches of emails from the General Services Administration, the government agency that hosted the transition's "ptt.gov" emails. What's at stake: We're told that the fight involves emails from the accounts of 12 officials, including members of the political leadership and foreign-policy team. One of the accounts alone includes 7,000 emails. UPDATE: Seizure of Transition Emails Violated Law? Trump, you see, likely lacks the legal ability to fire Mueller himself; while 45 would be almost certain to declare his power limitless, the optics of firing Mueller directly may actually go beyond what even Trump is willing to tolerate. The AG, on the other hand (or here, the DAG), clearly has the authority to fire Mueller. Whether Rosenstein would be willing to do so, though, is clearly another matter entirely. Brief flashback: During the Watergate scandal, Richard Nixon tried to fire the special prosecutor, Archibald Cox. Both Nixon’s Attorney General and his Deputy Attorney General refused to fire Cox, so Nixon kept going down the chain until he found someone who would do his bidding (that someone ended up being Robert Bork – the then Solicitor General, who ended up on the short list of failed Supreme Court justices). Alternatively, we can continue to wait for Trump to act, well, Trump-like, and just fire everyone in his path. Democratic Reps. Jan Schakowsky of Illinois, from left, Val Demings of Florida, John Sarbanes of Maryland and Rep. Jackie Speier of California listen during a news conference to support special counsel Robert Mueller on Dec. 21, 2017, on Capitol Hill. 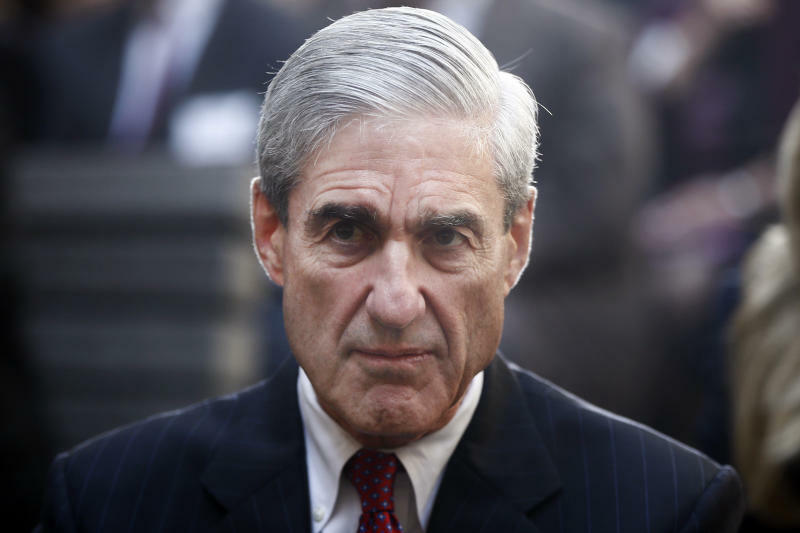 Separately, groups are organizing protests should President Donald Trump fire Mueller. Progressive groups are organizing tens of thousands of protesters to storm the streets within hours should President Donald Trump fire special prosecutor Robert Mueller, determined to intensify the crisis while testing the resiliency of the year-old "resistance" movement. The White House has repeatedly stated that Trump has no intention of ousting Mueller, a move that probably would require him to get buy-in from Justice Department leaders, including Deputy Attorney General Rod Rosenstein. But activists on the left remain wary of Trump's intentions, saying they fear he could act, perhaps even over the Christmas holidays when Congress and the public are distracted. Vowing not to be surprised, more than two dozen progressive organizations have spent the past several weeks lining up what they vow would be an immediate response that would be hard to ignore. Using an online portal that links the various groups and their contact lists, more than 140,000 people have registered to begin protesting within hours of Trump's decision, at predetermined locations in more than 600 cities. The protests are designed to harness what organizers predict would be a wave of nationwide outrage that would follow Trump's action, which Democrats in Congress warn could trigger a constitutional crisis. "It's pretty rare that people would commit to mobilize around something that we don't even know will happen, so it shows the energy and passion out there," said Lisa Gilbert, vice president of legislative affairs for Public Citizen, a Washington, D.C.-based environmental and government reform organization. "The reaction will be swift." The threats of mass protests appear also to have broad support within the Democratic Party. Last week, former Attorney General Eric Holder wrote on Twitter that Mueller's ouster would be an "ABSOLUTE RED LINE." Manafort's suit also alleges the order appointing Mueller exceeds the deputy attorney general's authority. As a result, all actions taken by the special counsel "must be set aside," it argues. "The actions of DOJ and Mr. Rosenstein in issuing the Appointment Order, and Mr. Mueller's actions pursuant to the authority the Order granted him, were arbitrary, capricious, and not in accordance with the law," the suit reads. The appointment order authorizing Mueller as special counsel permits him to investigate any matters that "may arise directly from the investigation." Experts have said it gives Mueller wide latitude to determine the course of his investigation. 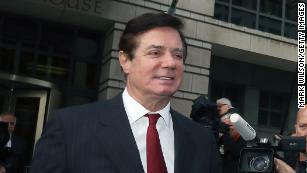 "I think it's going to be an uphill battle," said Sol Wisenberg, a leading white-collar attorney, referring to Manafort's suit. "These kinds of things usually don't prevail." Manafort was indicted Oct. 27 on 12 counts related to unlawful financial dealings. He pleaded not guilty and has been contesting the charges. A trial is scheduled to begin in May. 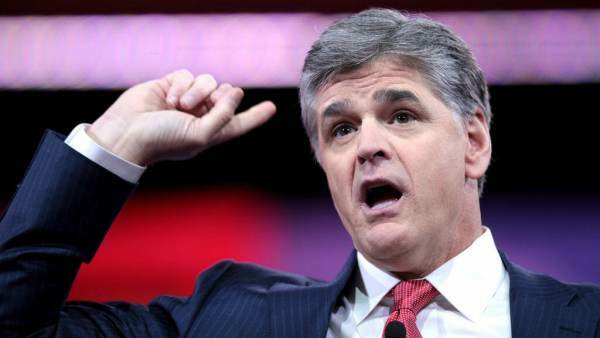 Amid demands by Republican lawmakers to release the bombshell FISA abuse report, Fox News host Sean Hannity issued his biggest “tick tock,” ever, declaring “vindication,” is on the horizon. “Biggest Tick Tock Ever!! Vindication!” tweeted Hannity. As The Gateway Pundit‘s Jim Hoft reported Thursday evening, Hannity issued a stern warning to special counsel Robert Mueller. JAW Dropping: "No there there"
The FBI’s top agent on the Trump-Russia investigation sent a text message last year that one top Republican senator says suggests he saw no evidence of Trump campaign collusion. The text message, which was sent by Peter Strzok, is “jaw-dropping,” Wisconsin Sen. Ron Johnson, the chairman of the Senate Homeland Security and Governmental Affairs Committee, said in a radio interview on Tuesday. The FBI said it does not have text messages for Strzok and Page for the period between Dec. 14, 2016 and May 17, 2017 — the day that Mueller was appointed. “So we’re getting insight into exactly what is happening inside the FBI at the highest levels. And who knows who else they might implicate in terms of corruption,” he said. Attorney General Jeff Sessions on Monday announced the Justice Department will investigate missing text messages sent between two FBI agents critical of President Trump, joining the chorus of Republican lawmakers who are eager to recover the exchange. "I have spoken to the Inspector General and a review is already underway to ascertain what occurred and to determine if these records can be recovered in any other way. If any wrongdoing were to be found to have caused this gap, appropriate legal disciplinary action measures will be taken," he continued. 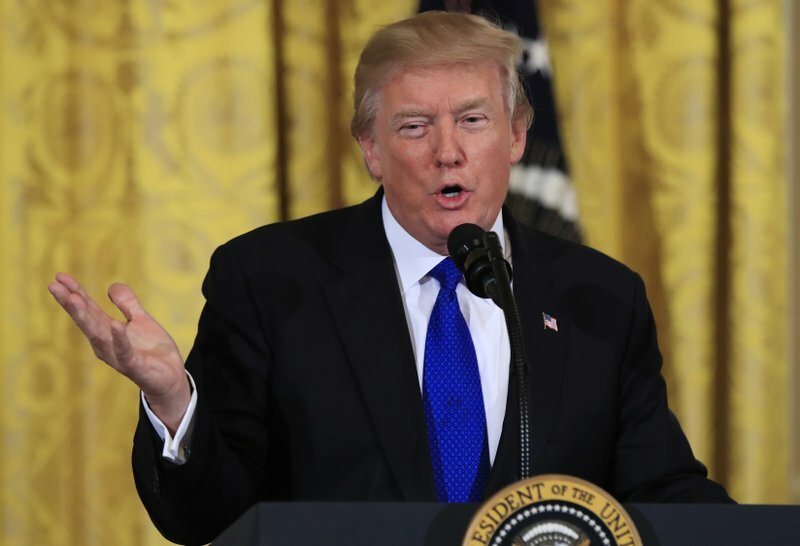 WASHINGTON (AP) — President Donald Trump declared late Wednesday he’s “looking forward” to being questioned — under oath — in the special counsel’s probe of Russian election interference and possible Trump obstruction in the firing of the FBI director. Trump said he would be willing to answer questions under oath in the interview, which special counsel Robert Mueller has been seeking but which White house officials had not previously said the president would grant. Imagine the POS who was in the WH before Trump trying this. Is The Donald being over-confident? Trump allies trying to undermine the Mueller investigation? FISA memo reason enough to halt the Mueller investigation? House Intelligence Committee Republicans said on Monday the panel had finished conducting interviews in its investigation of Russia and the 2016 U.S. election, and found no collusion between President Donald Trump’s associates and Moscow’s efforts to influence the campaign. Reflecting a deep partisan divide on the House of Representatives panel, Democrats have been arguing that the probe is far from over. Representative Adam Schiff, the panel’s ranking Democrat, said last week that there were dozens more witnesses who should be called before the panel, and many more documents that should be subpoenaed. The committee investigation began on Jan. 25, 2017, just five days into the Trump administration, with a joint statement from Nunes and Democratic Rep. Adam Schiff pledging to investigate "counterintelligence concerns related to Russia and the 2016 U.S. election, including any intelligence regarding links between Russia and individuals associated with political campaigns." In the time since, any bipartisan spirit splintered as Nunes focused on the Obama administration's efforts to investigate the Trump campaign, focusing especially on the Trump dossier. Nunes' investigation, for example, is the reason the public knows that the dossier was funded by the Hillary Clinton campaign and the Democratic National Committee, and that the FBI and Justice Department used its unverified allegations to receive a court warrant to eavesdrop on Carter Page. But the question of collusion remained a key issue for the committee, as well as for the other two big Trump-Russia investigations, by the Senate Intelligence Committee and special counsel Robert Mueller. And Republicans and Democrats have differed sharply on whether collusion did or did not take place. "There is already, in my view, ample evidence in the public domain on the issue of collusion if you're willing to see it," Schiff told reporters last month. "If you want to blind yourself, then you can look the other way." Acting Chairman of House Intel Mike Conaway with Tucker Carlson last night. Just WHO is this guy (Mueller)? Former New Jersey Gov. Chris Christie (R) on Sunday warned that President Trump's "hyperbolic" style could have consequences if he testifies for special counsel Robert Mueller's Russia investigation. "One of the things that makes the president who he is is that he's a salesman, and salesmen at times tend to be hyperbolic," Christie said during a panel on ABC's "This Week." "That’s OK when you’re working on Congress. It is not OK when you’re sitting talking to federal agents because, 18 U.S.C. 1001 is false statements to federal agents, that's a crime, that can send you to jail." Christie also said he doesn't think Trump should ever "walk into that room with" Mueller. "So, yeah, I pray for him." Carter has in the past been critical of Trump and some of his policy decisions. Last month, he said he would prefer Trump not be impeached, even if special counsel Robert Mueller's investigation exposes wrongdoing on the part of the president. "My own preference would be that he not be impeached, but that he be able to serve out his term, because I think he wants to do a good job," he said last month. "And I'm willing to help him, if I can help him, and give him the benefit of the doubt." Announcements of scheduled appearances for the widely anticipated $850-to-attend book tour by fired FBI Director James Comey foreshadow a much ballyhooed return to the public square. Media outlets eagerly booked the former director, and his opus, “A Higher Loyalty: Truth, Lies, and Leadership,” briefly jumped to No. 1 on Amazon’s best-seller list. But should Comey — a central witness in the Mueller probe —be making public his version of events which will certainly differ significantly with what President Trump, the central target in the special prosecutor’s probe, has repeatedly stated?
. . . Former U.S. Attorney Joseph diGenova, laid out a strong case that Comey contributed to the disgraceful politicization of the FBI — which, in part, led to his dismissal — via stupefying decisions in the Clinton emails and Trump-Russia collusion cases. The former chief prosecutor’s adapted remarks, delivered in a speech in January at Hillsdale College’s Allan P. Kirby Jr. Center for Constitutional Studies and Citizenship, can be found in this issue of Imprimis. Comey is certainly viewed as a polarizing figure by many Americans. Part of what makes him such an enigma to those of us who served under him was that he could appear so courageous and, yet, so self-admittedly cowardly.